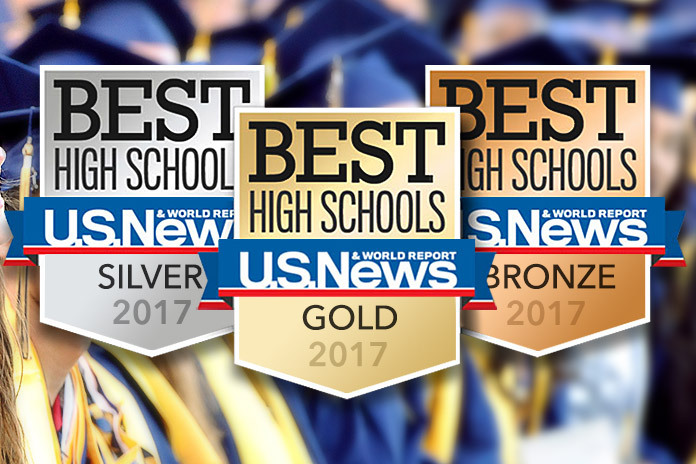 U.S. News and World Report’s 2017 list of America’s best high schools includes seven schools here, an all-time high for the Long Beach Unified School District. The California Academy of Mathematics and Science earned a gold medal, while five other schools here earned silver, and one earned bronze. McBride High School, which will graduate its first class of seniors this year, joined the list for the first time. The ranking includes data on more than 22,000 public high schools. The schools were judged on state assessments, graduation rates and how well they prepare students, including disadvantaged students, for college. Most local schools on this year’s list have appeared repeatedly in prior years, as has Poly High School. Schools occasionally drop off the list and then return in subsequent years as U.S. News makes adjustments to its methodology.